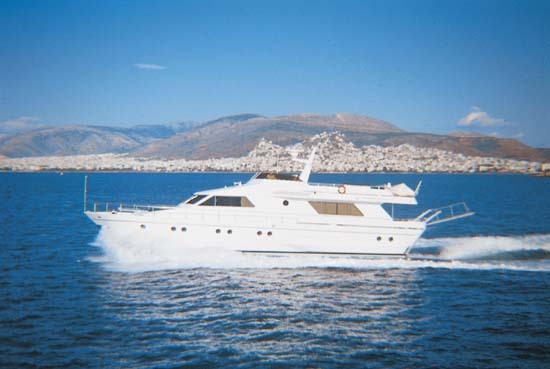 An 80 ft. motor yacht, capable of a top speed of 22 knots will take you to your destination quickly and safely. 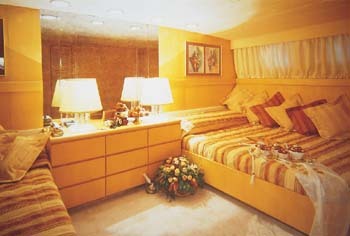 LADY ROSA's guests are hosted in 2 double and 2 twin cabins, all with private ensuite facilities. The spacious sun deck is offered for sunbathing in privacy while cruising. The aft deck is spacious enough for dining in comfort. The crew consists of four professional and experienced sea people that will cater to your every need and discreetly make sure that the guests relax and enjoy the cruise to the maximum. 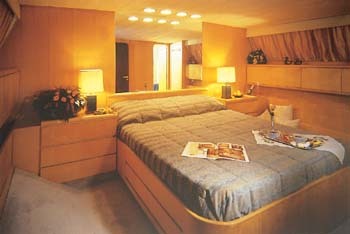 ACCOMMODATION : Two double cabins with ensuite bathroom. Two twin bedded cabins each with a bathroom. EQUIPMENT : Radar, Autopilot, GPS, Plotter, Navtex, Echosounder, Magnetic compass, 2 VHFs - SSB, Internal Tel. Communication, Cellular phone. 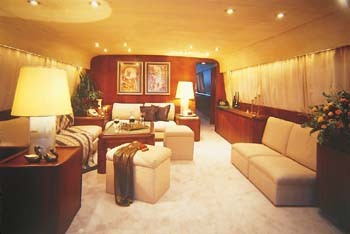 RECREATION : TV/VCR in saloon, Stereo/CD player in the saloon, cabins, decks.Speedboat with 25HP outboard. Water-ski, Wind surfing, Snorkeling gear, Fishing equipment. Diving equipment upon request, Jet Ski upon request.